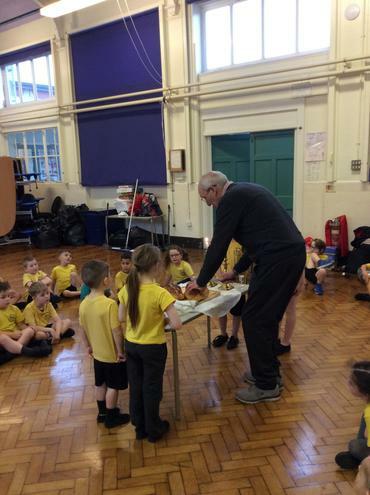 To celebrate harvest, we brought in lots of tins and packets of food. 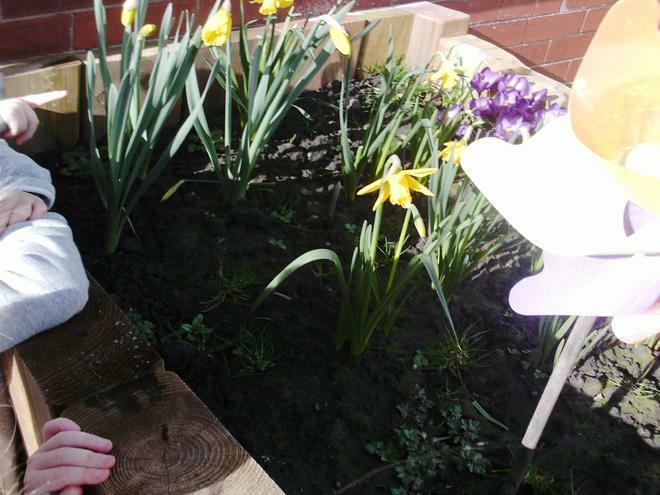 These are being donated to our look food bank charity, Spacious Place. 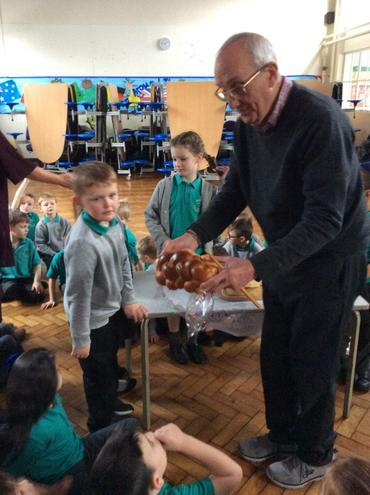 They will then be distributed to families in the local area who need a little helping hand. 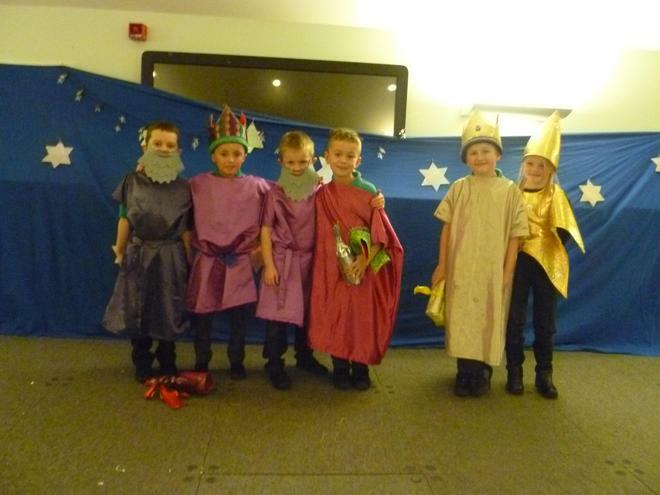 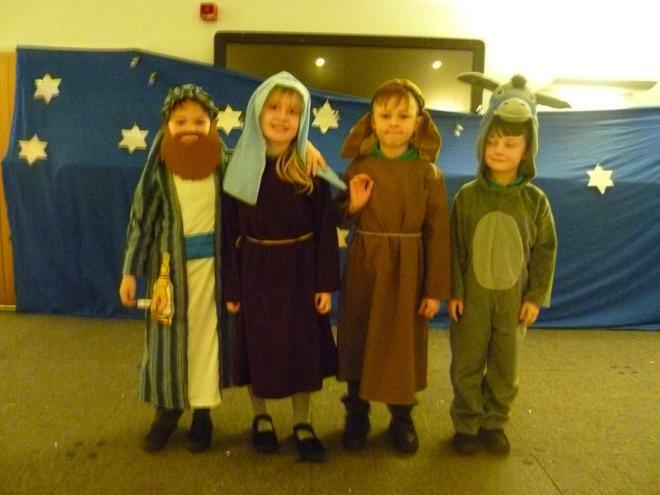 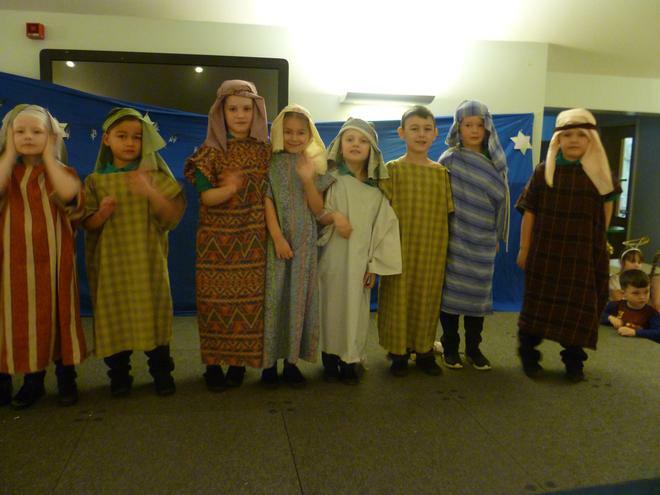 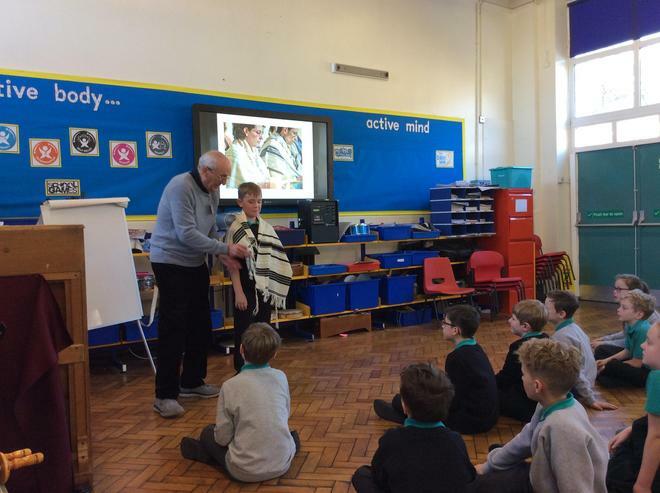 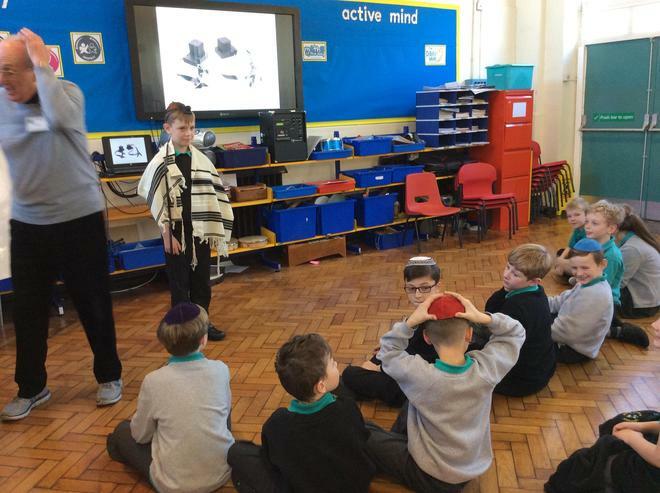 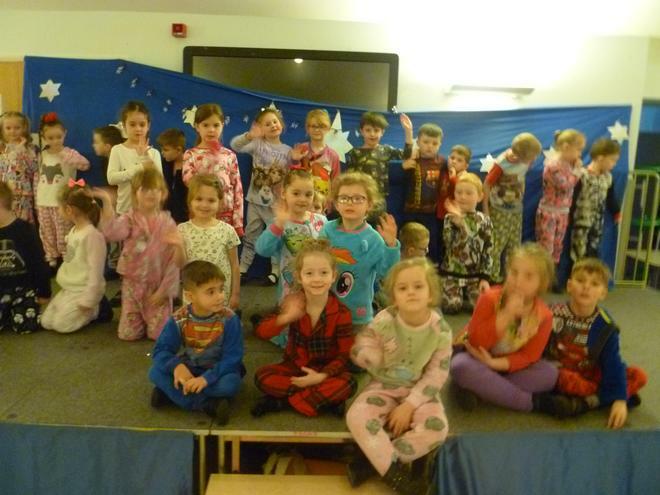 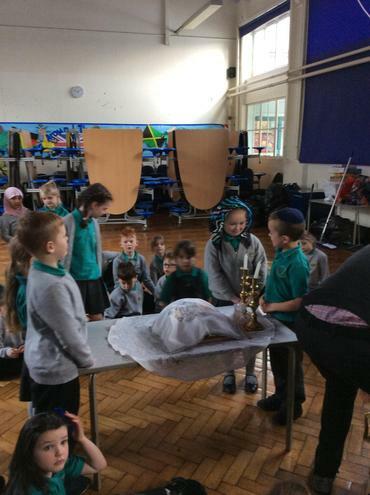 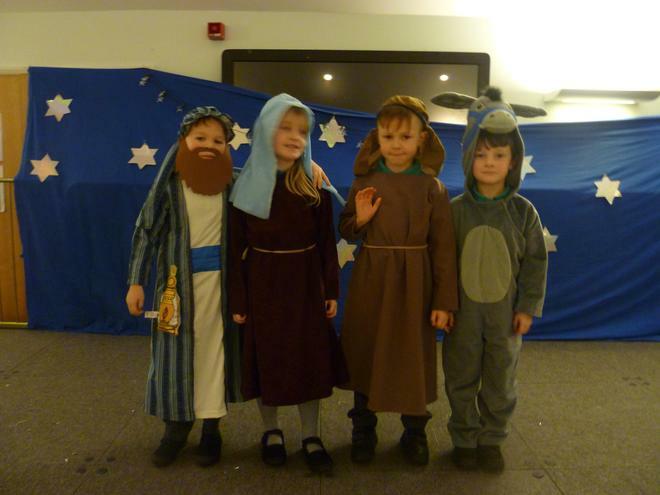 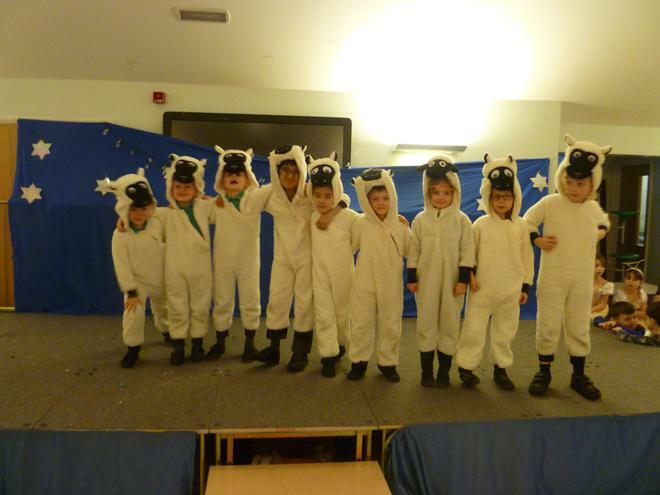 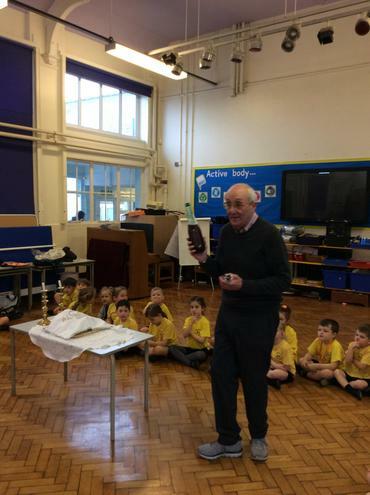 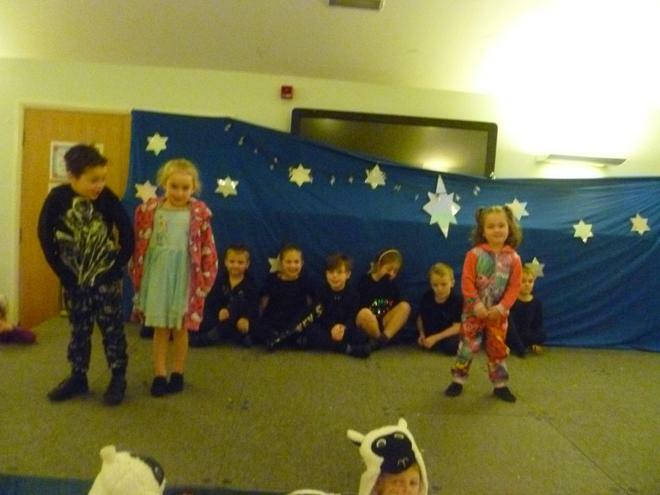 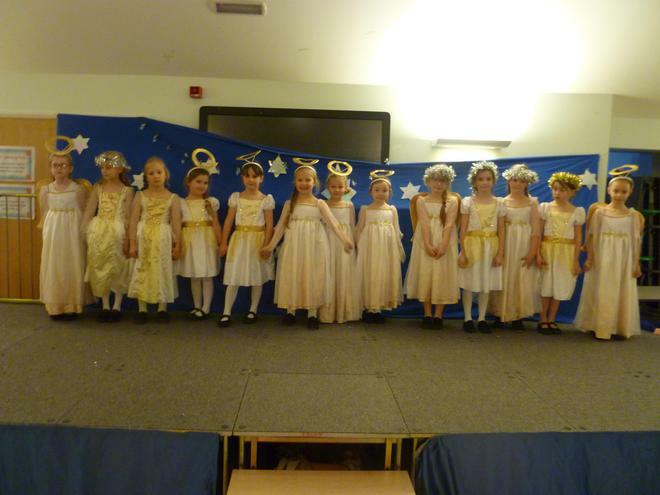 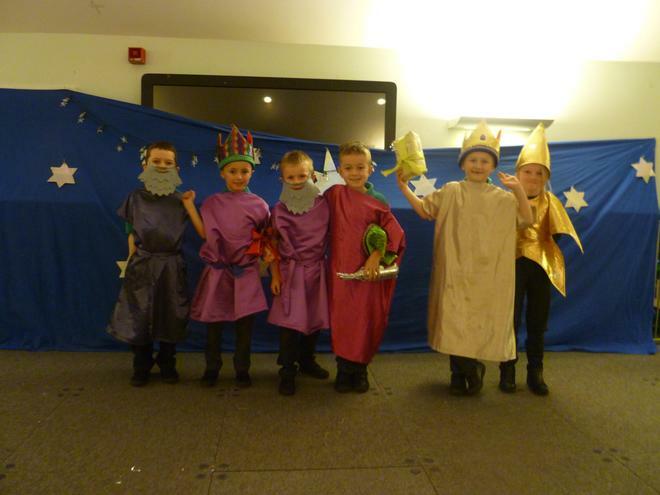 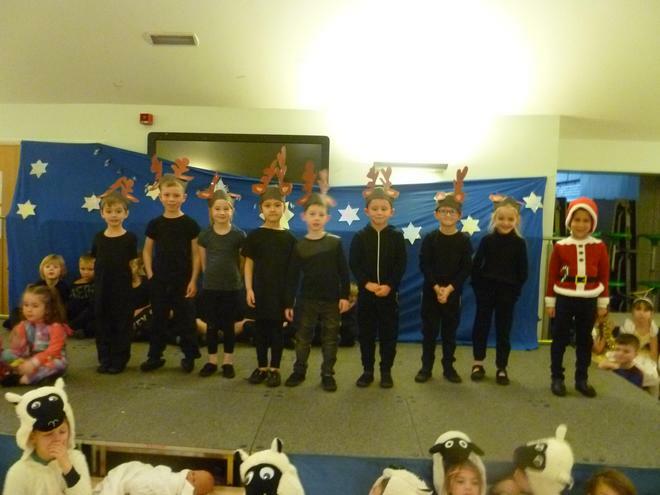 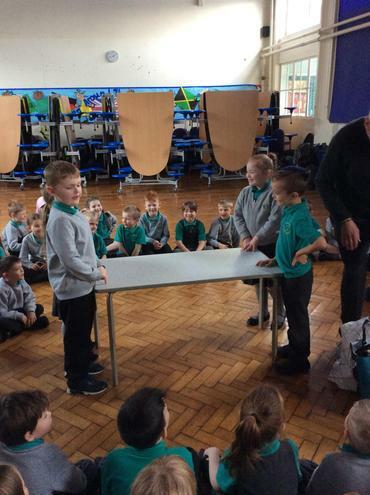 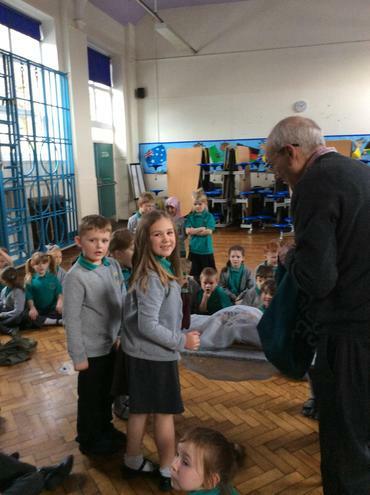 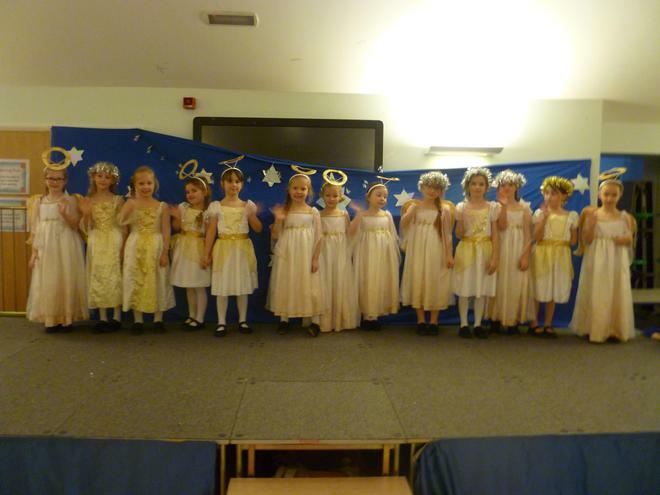 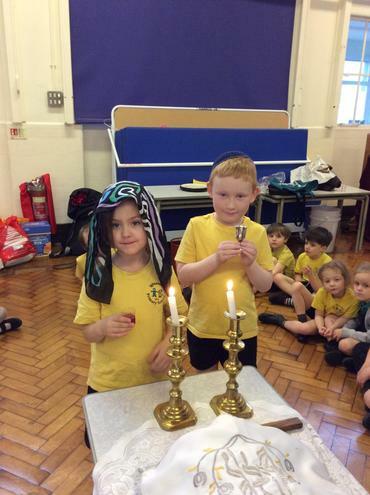 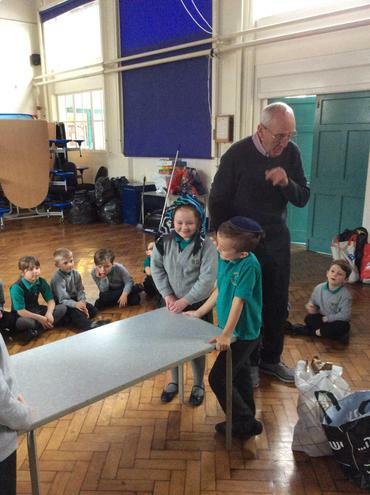 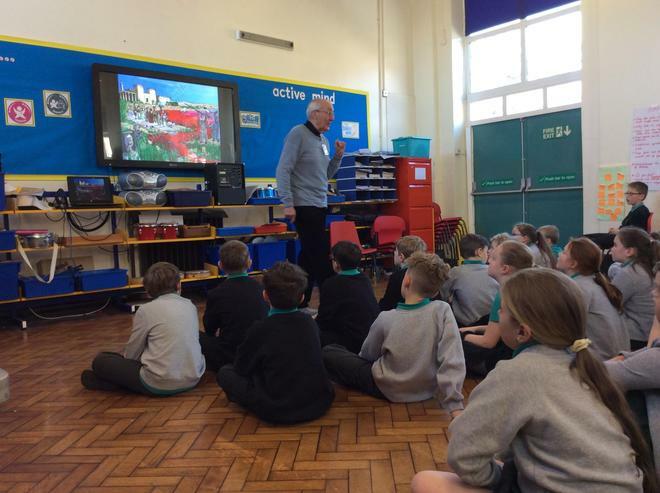 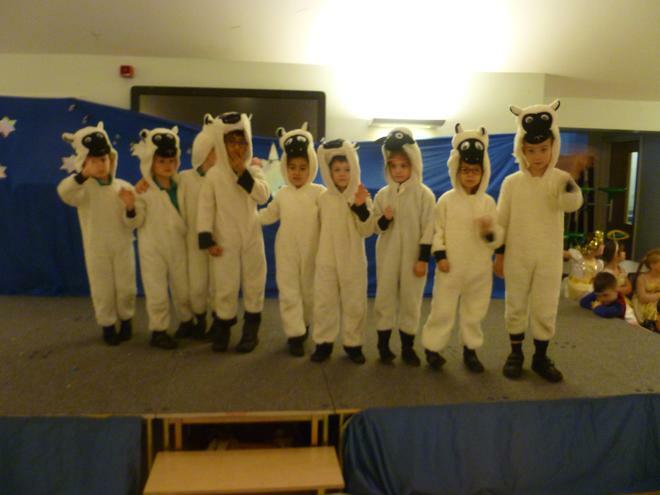 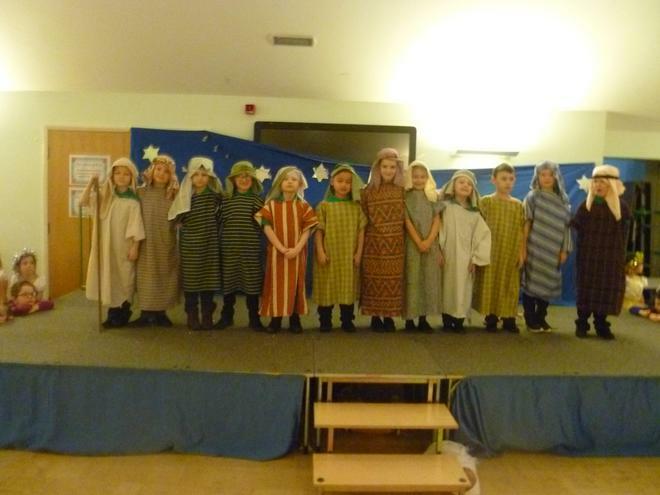 At the beginning of December class 4 put on a fantastic class assembly all about Advent. 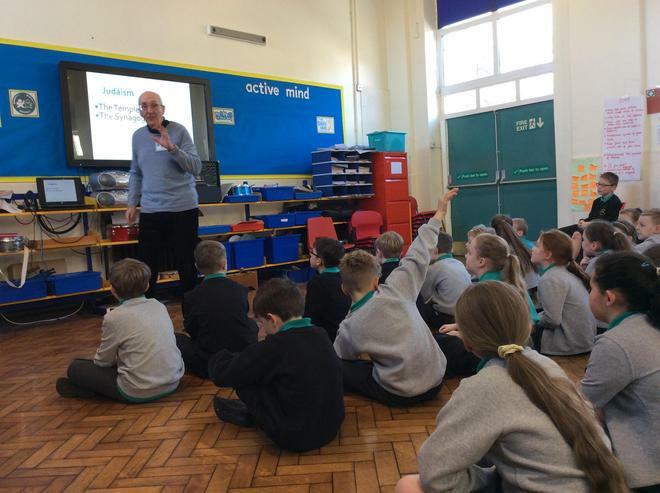 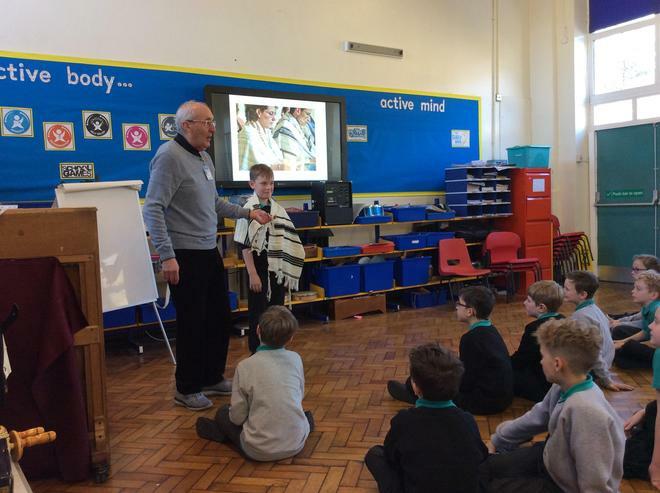 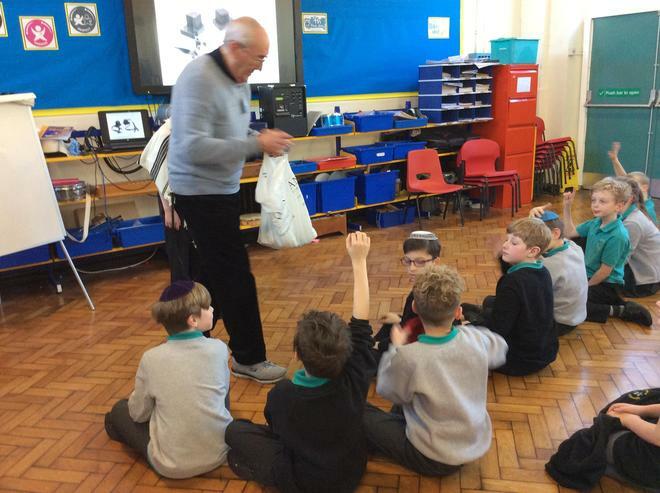 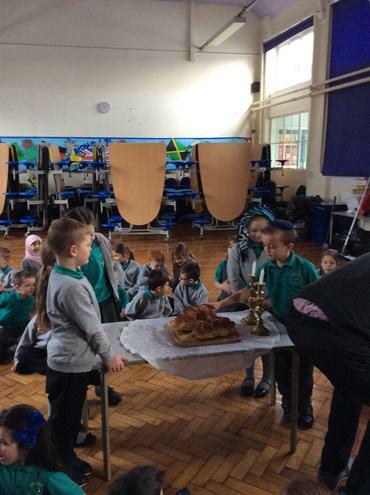 We learnt that Advent isn’t all about the chocolates we eat in our calendars but also about celebrating Christmas as a Christian. 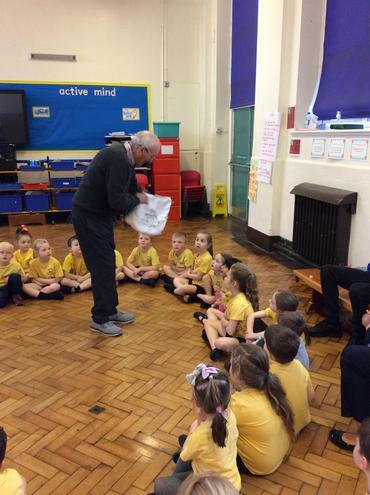 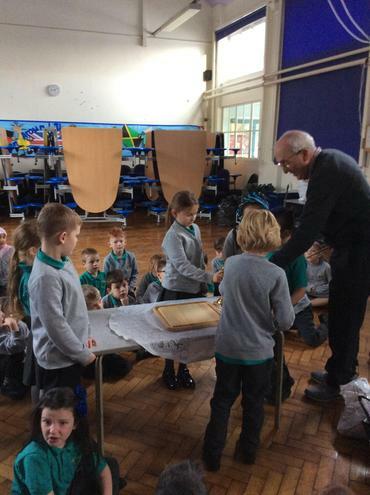 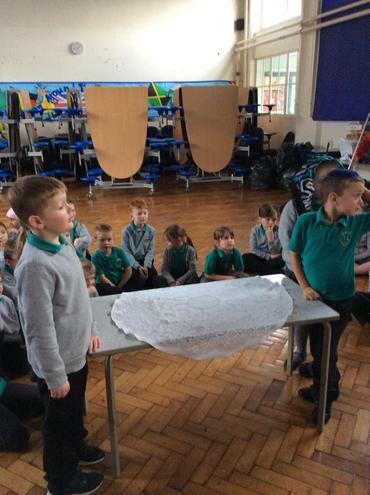 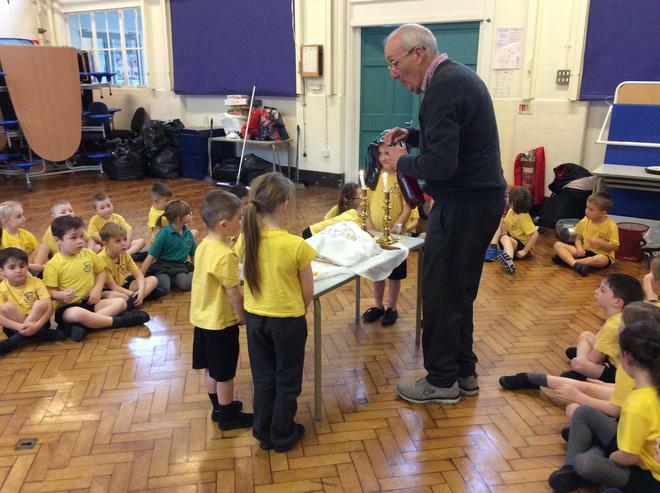 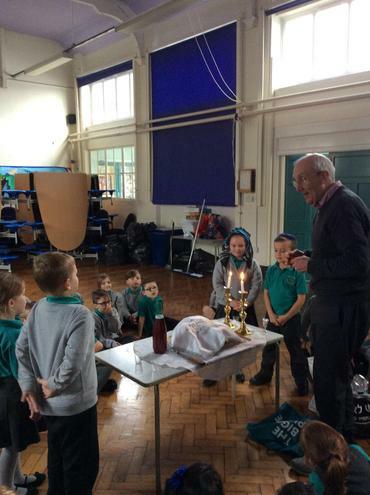 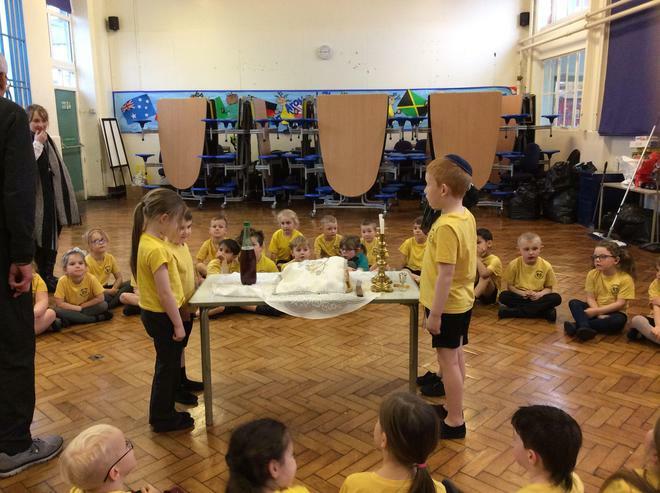 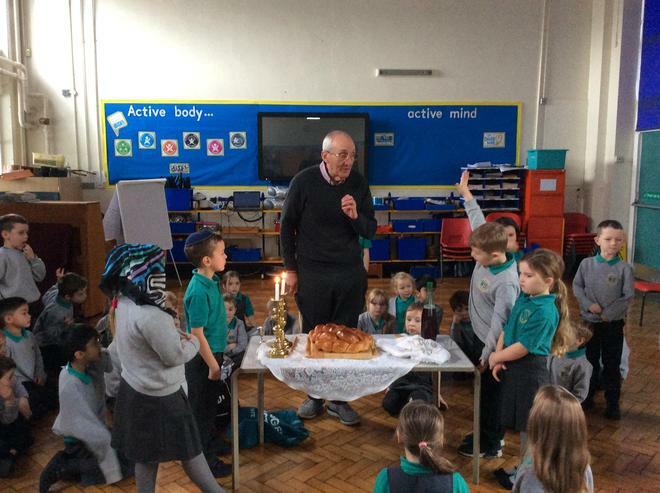 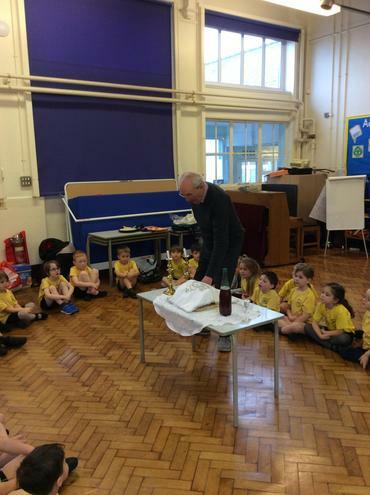 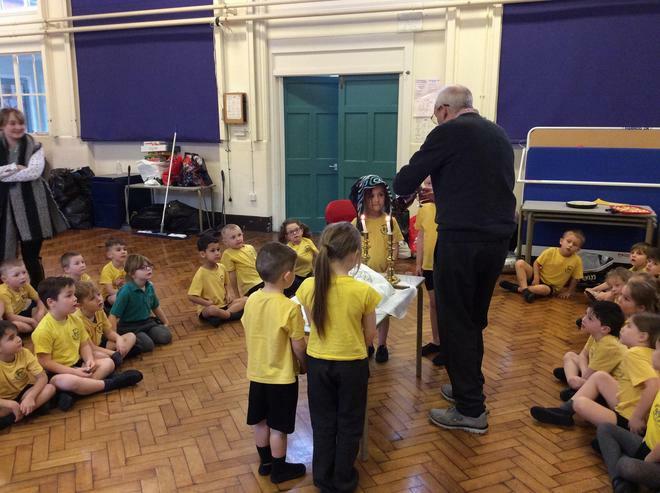 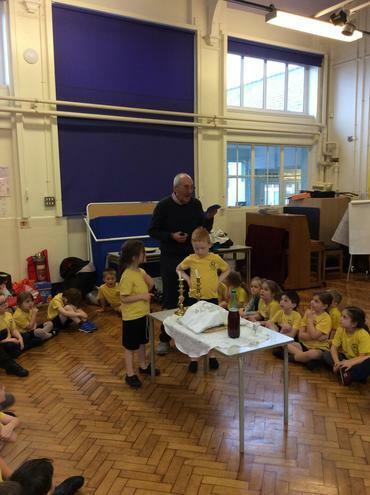 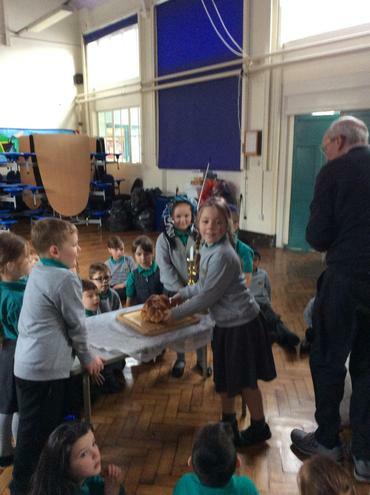 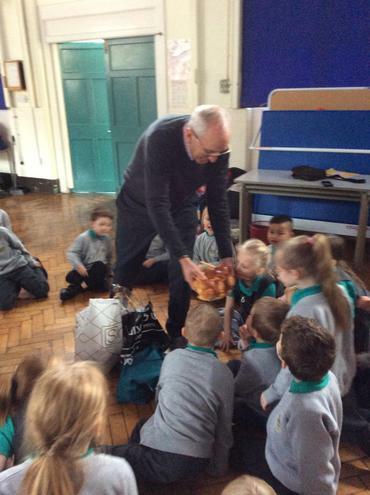 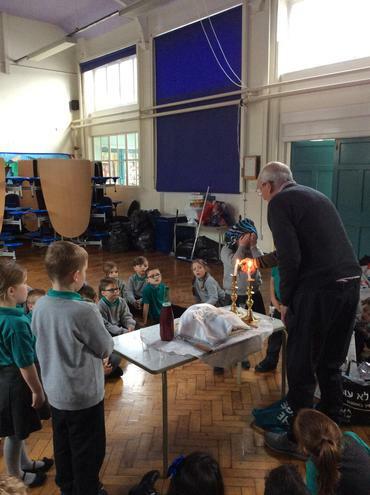 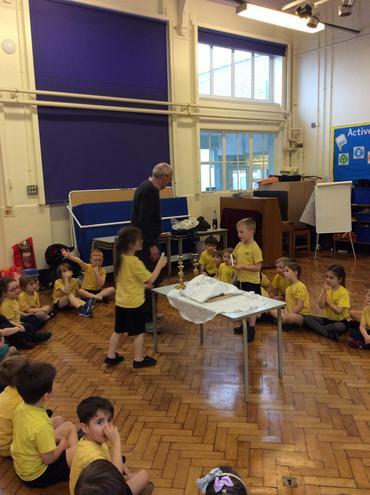 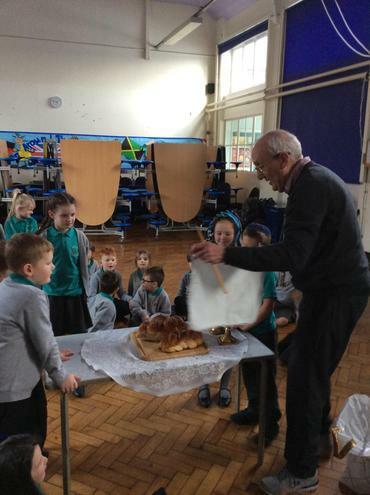 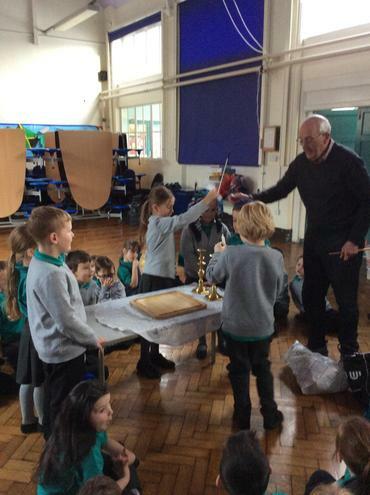 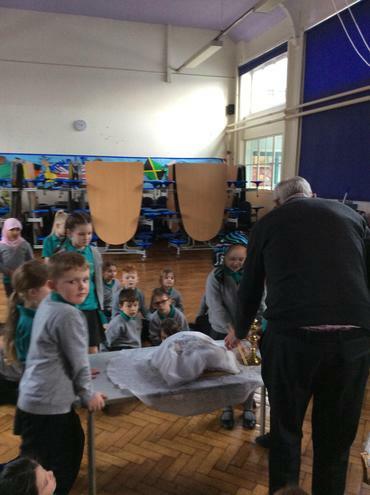 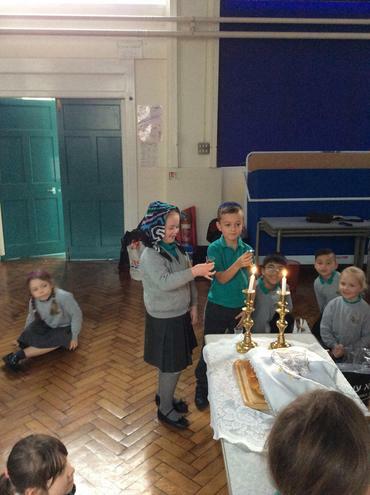 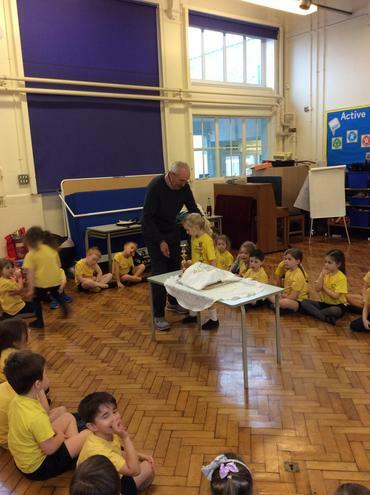 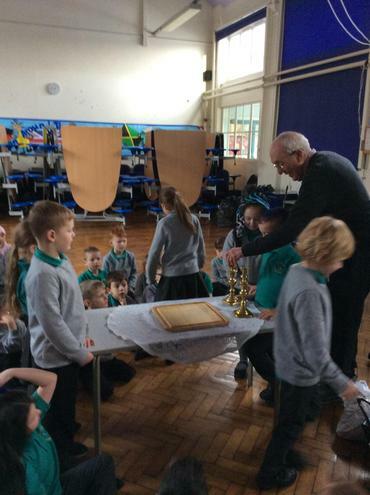 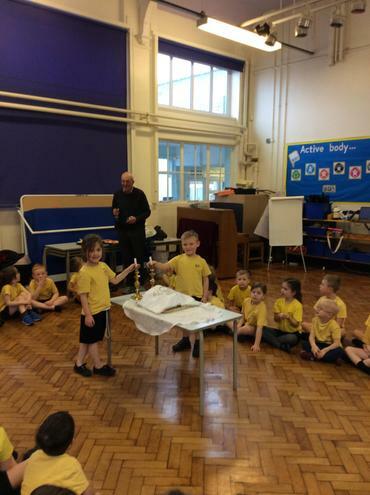 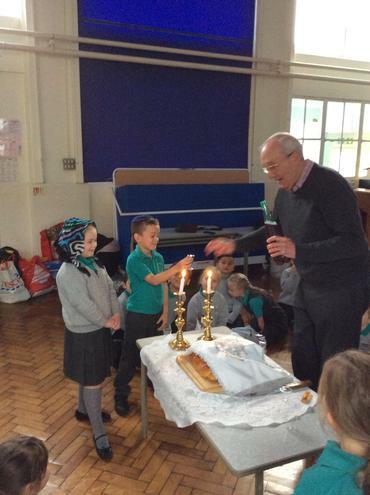 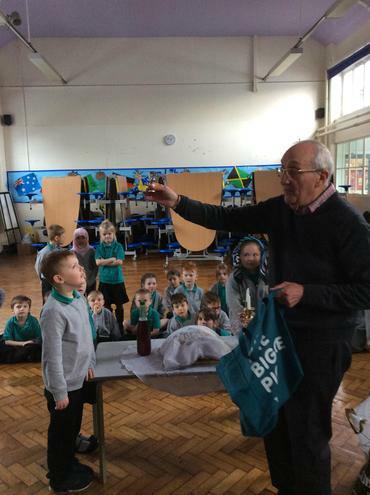 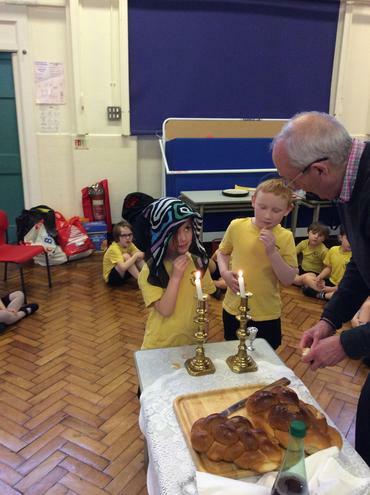 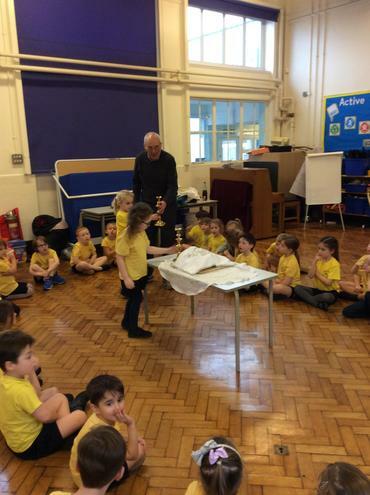 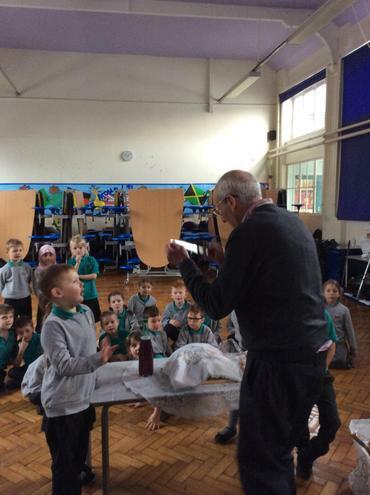 Class 4 taught us all about the Christingle, a celebration that happens in churches around Christmas time. 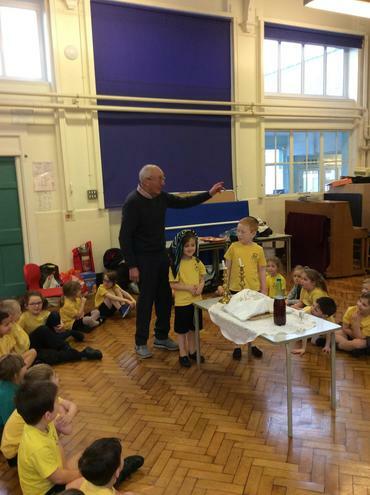 Each piece of the Christingle holds special symbolism to help children understand the importance of Jesus and the Gospel, and its relevance at Christmas time. 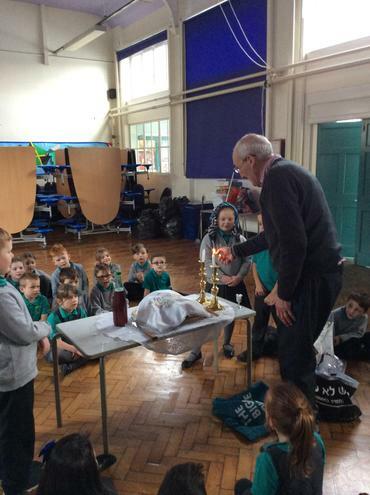 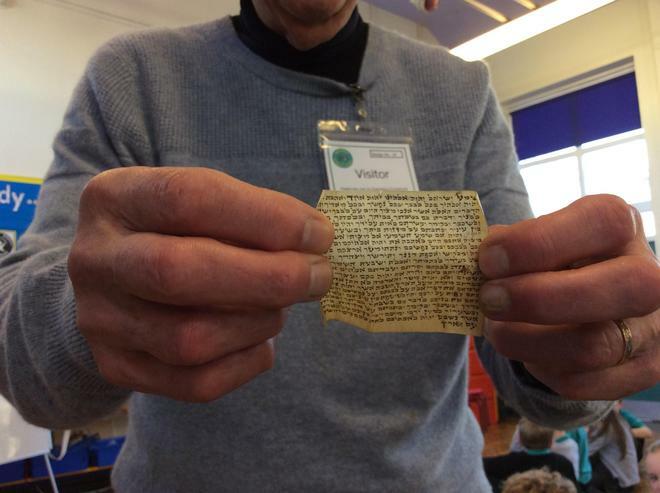 Why not have a go at making your own Christingle at home? 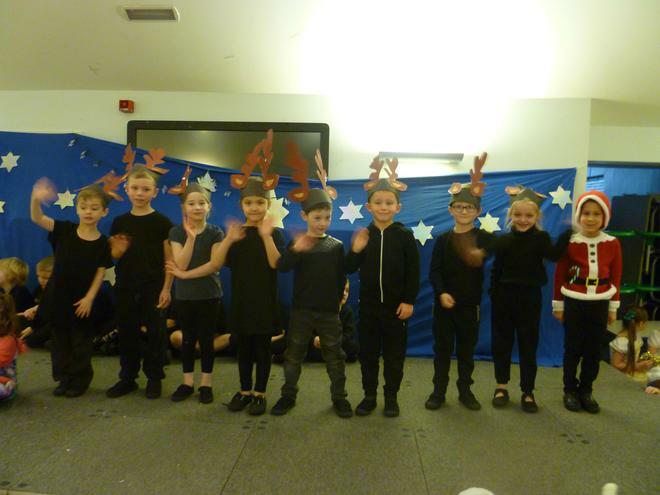 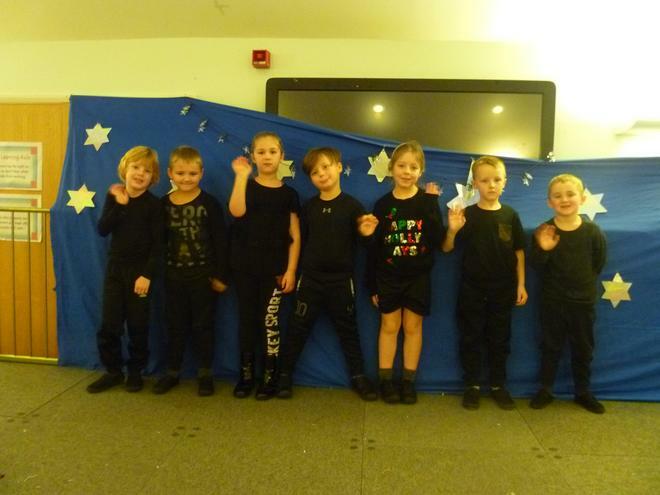 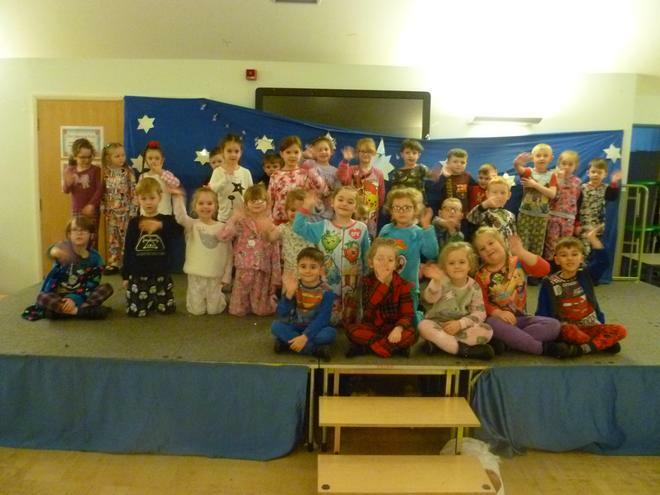 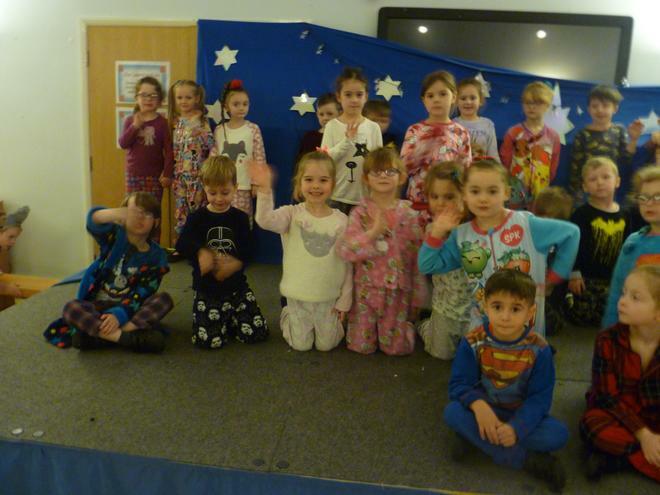 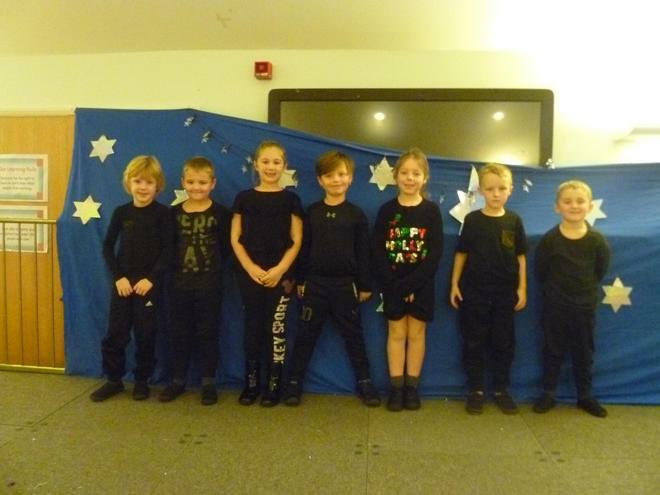 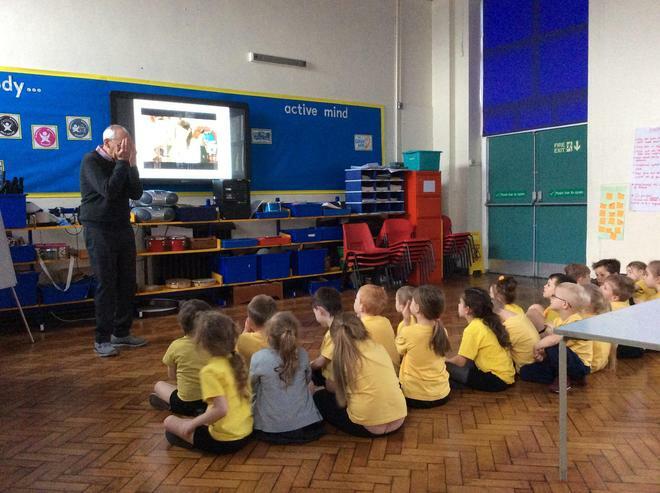 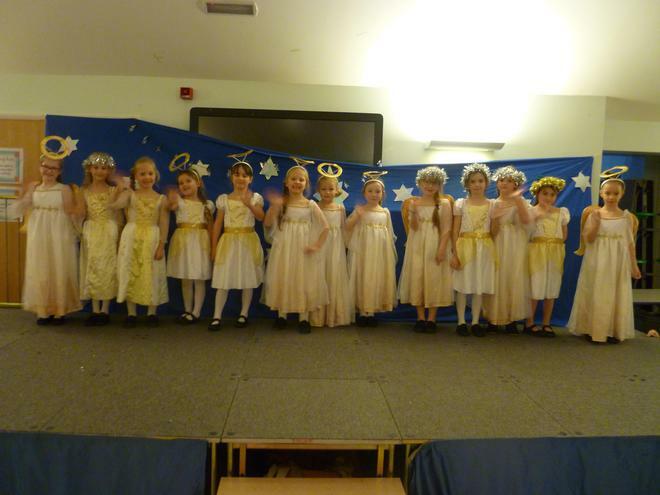 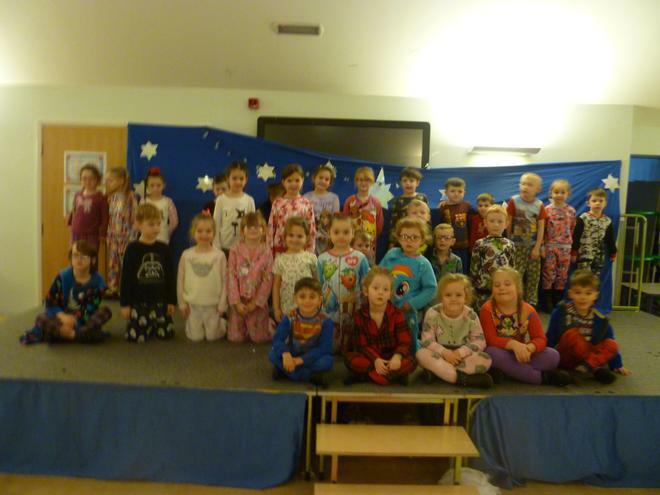 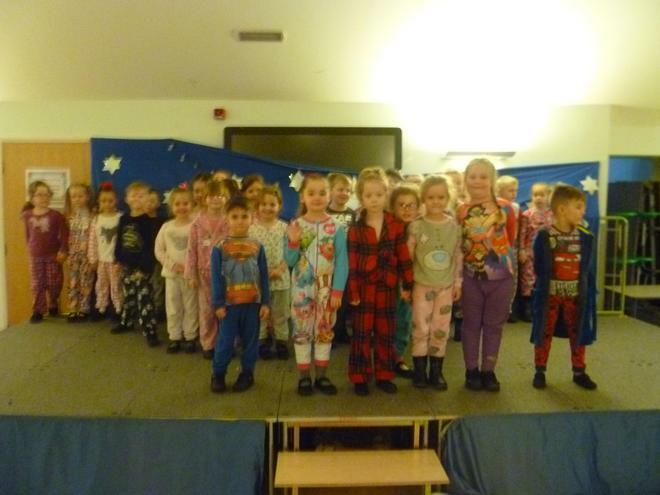 A big thank you to class 4 from all the school, well done! 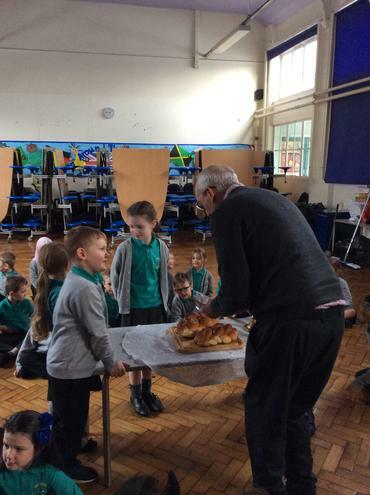 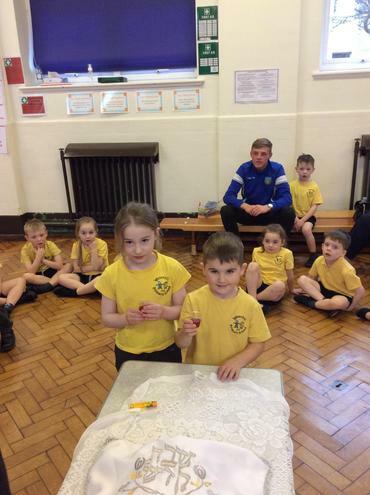 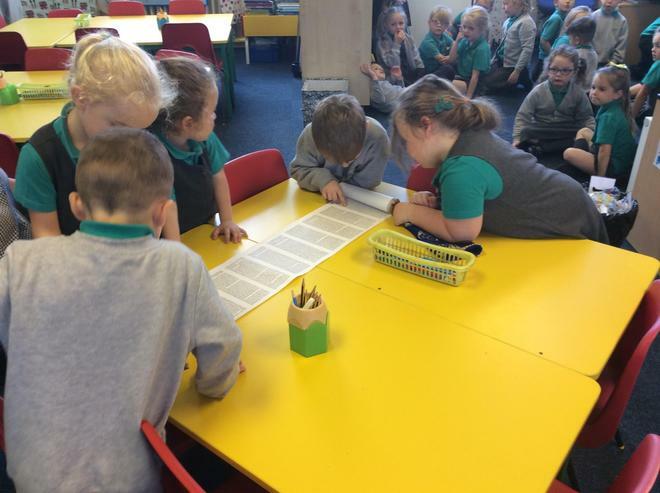 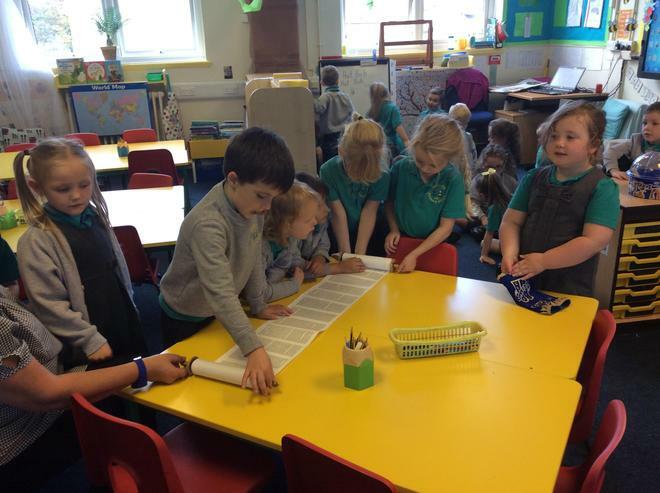 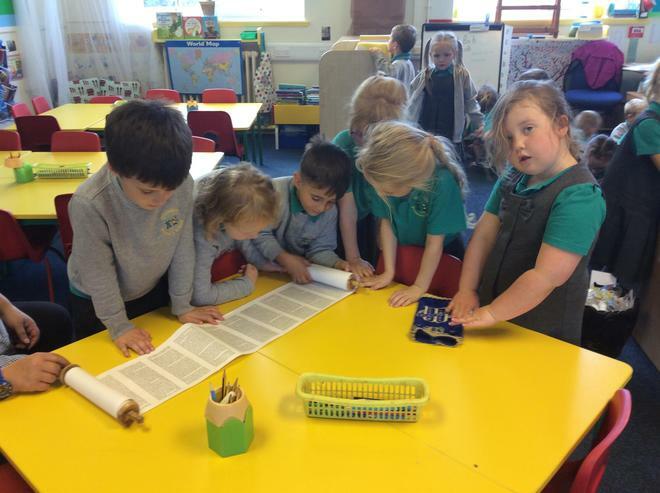 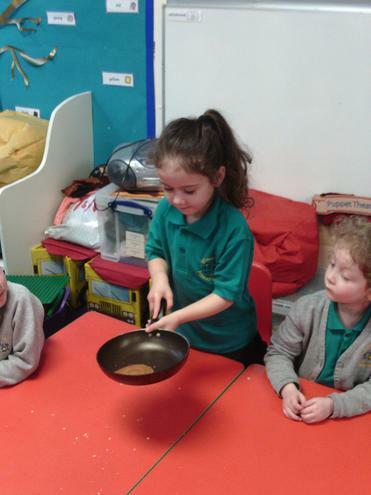 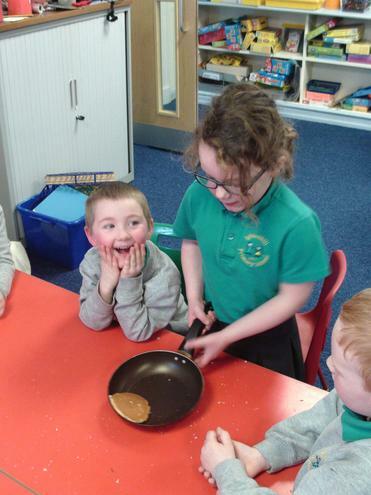 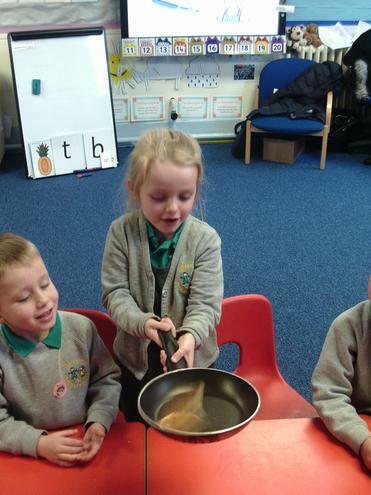 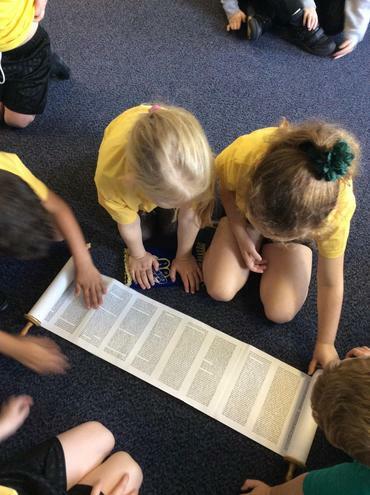 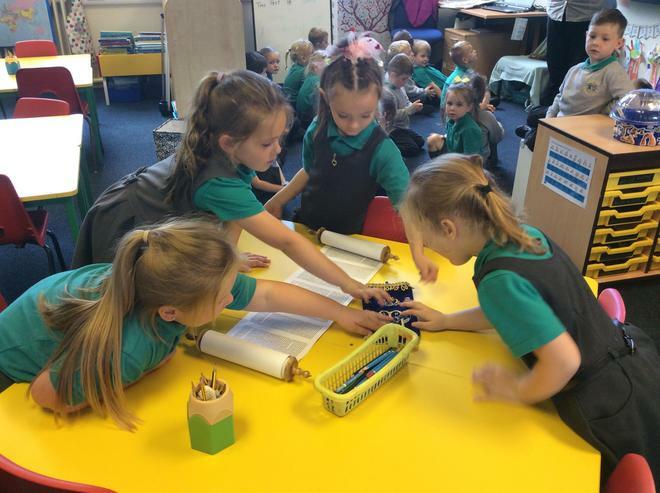 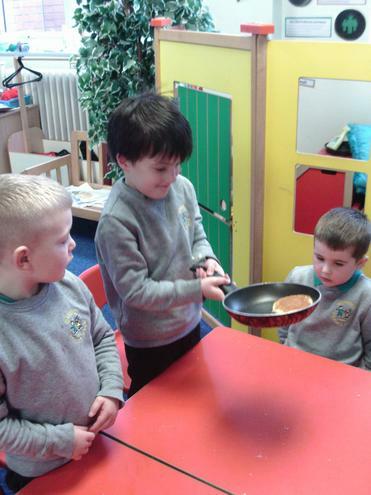 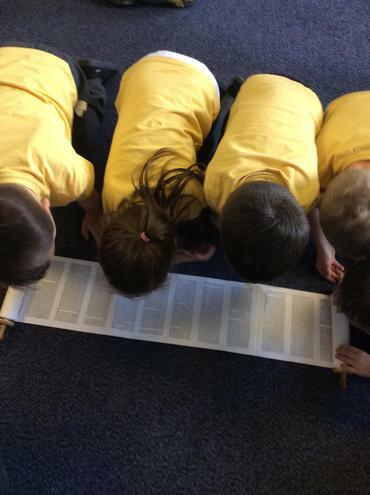 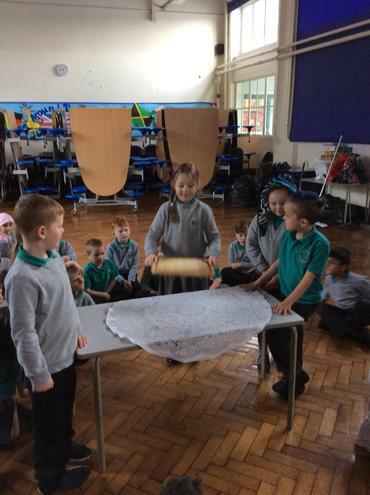 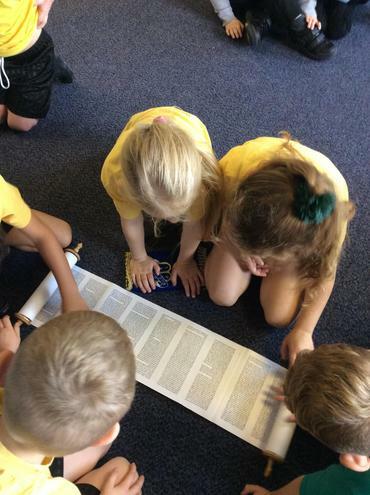 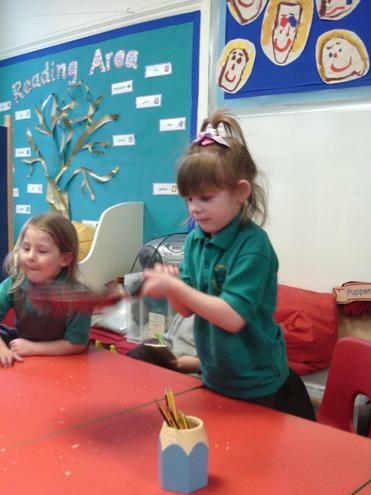 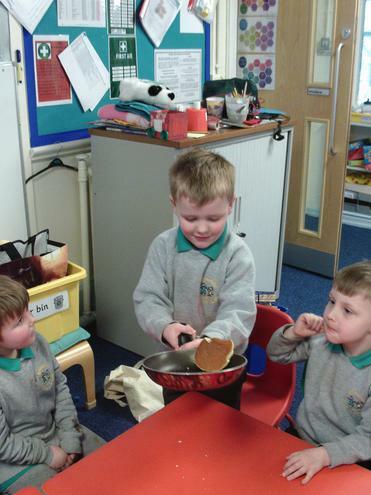 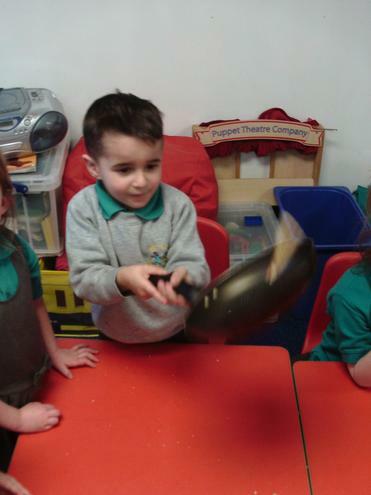 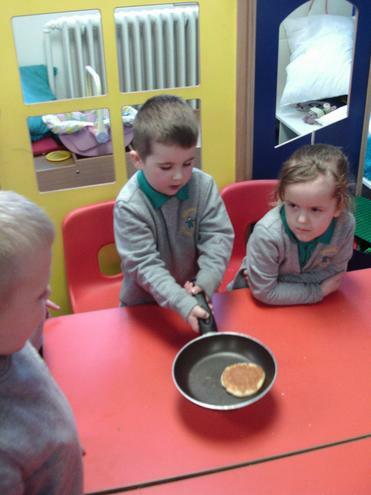 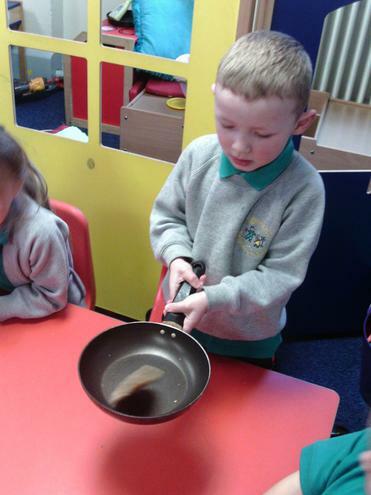 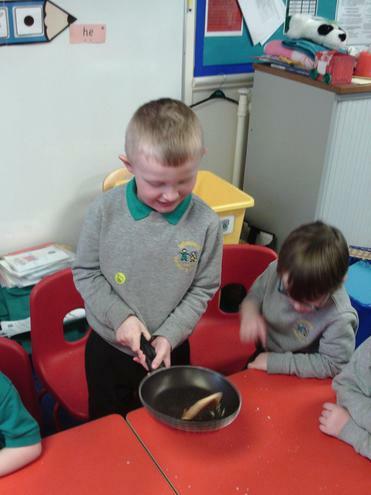 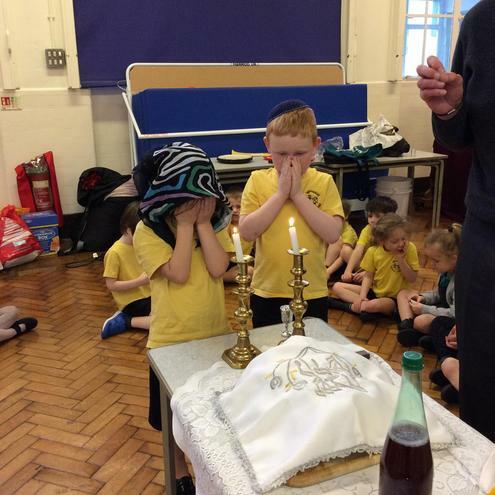 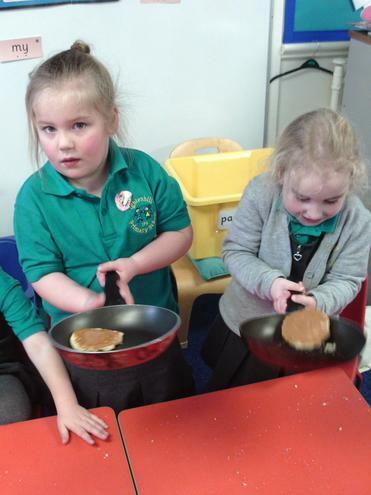 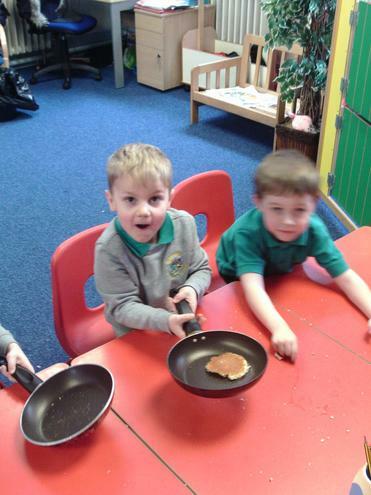 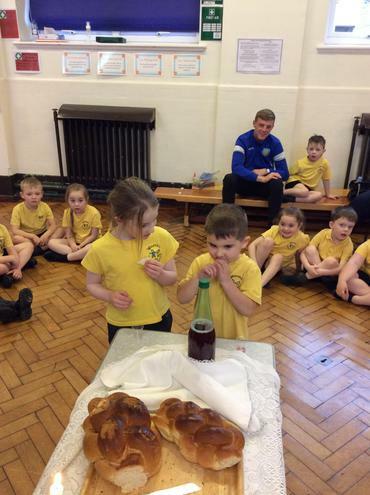 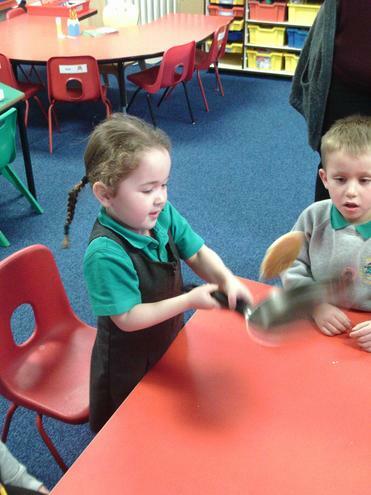 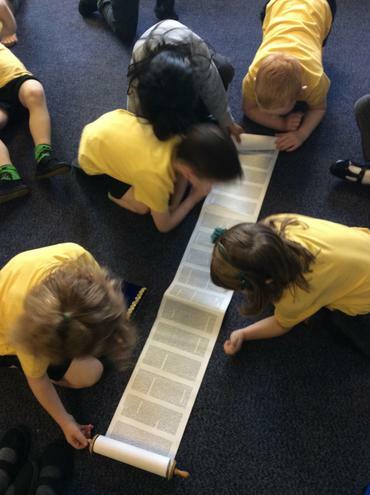 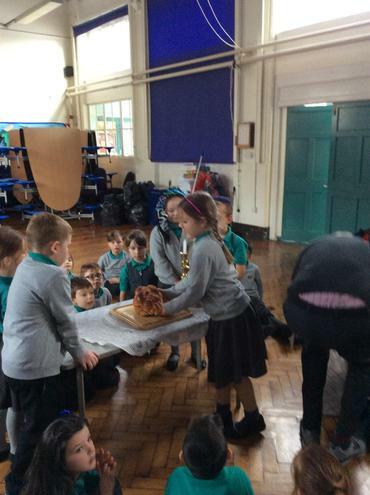 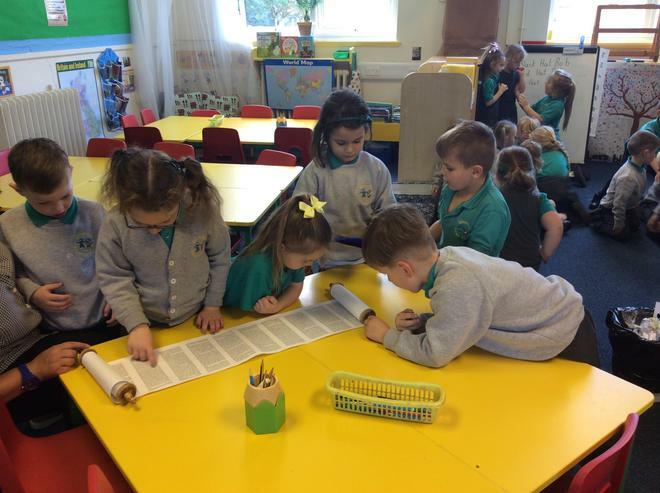 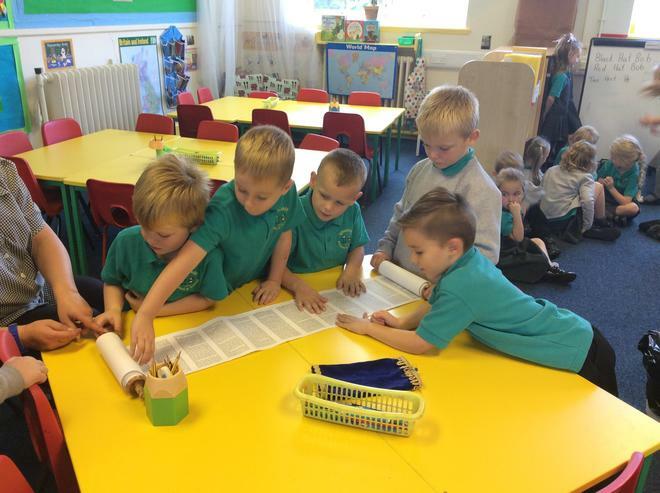 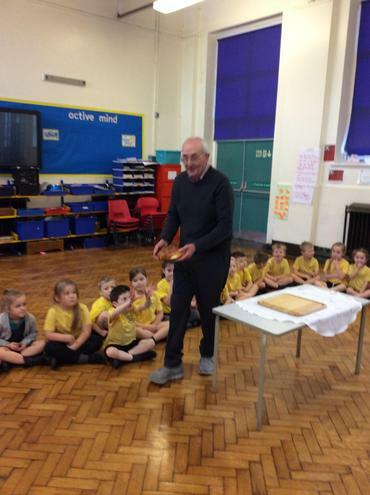 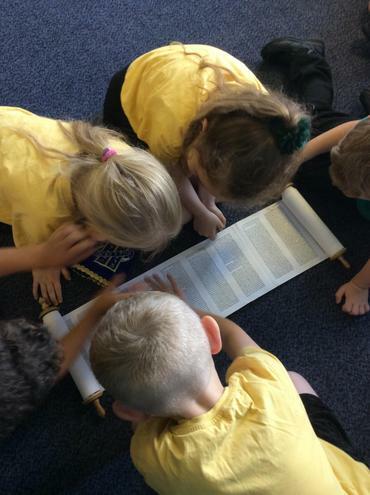 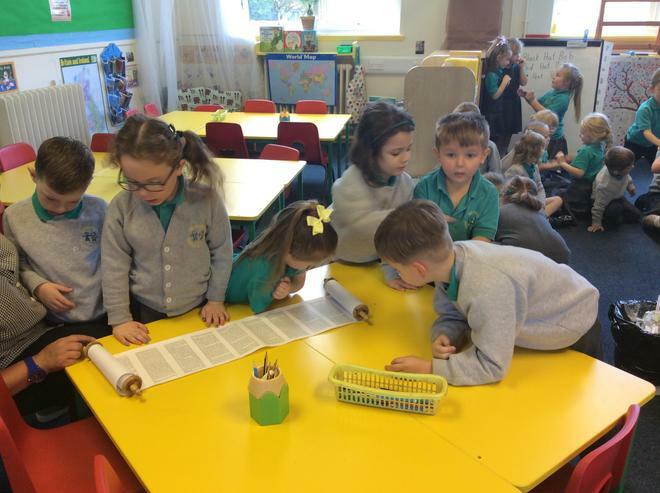 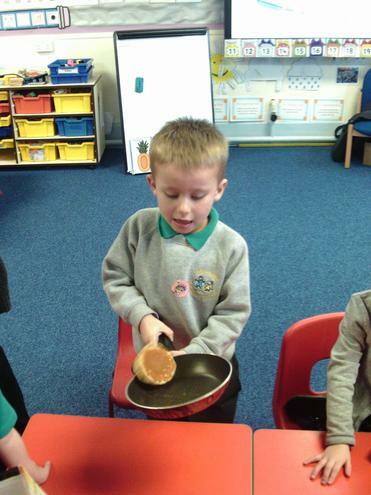 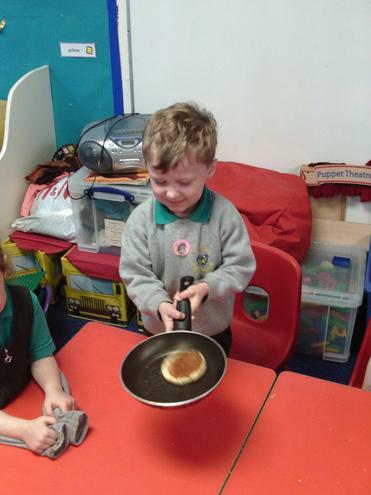 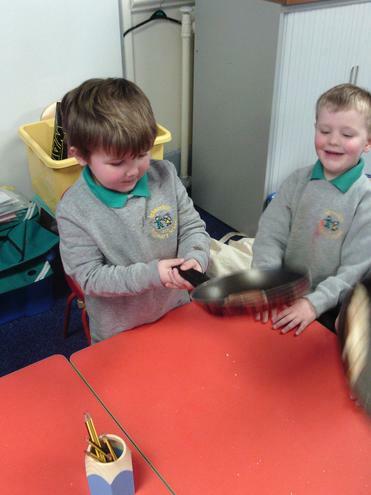 The children in the Reception classes have enjoyed learning all about Shrove Tuesday. 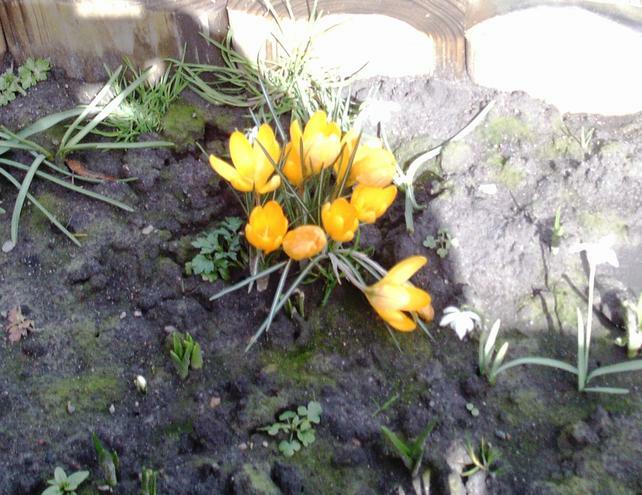 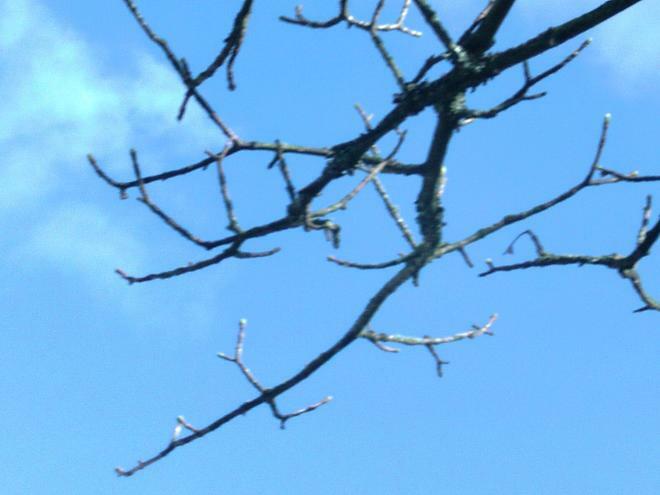 The children in year one have enjoyed looking for signs of Spring around our school. 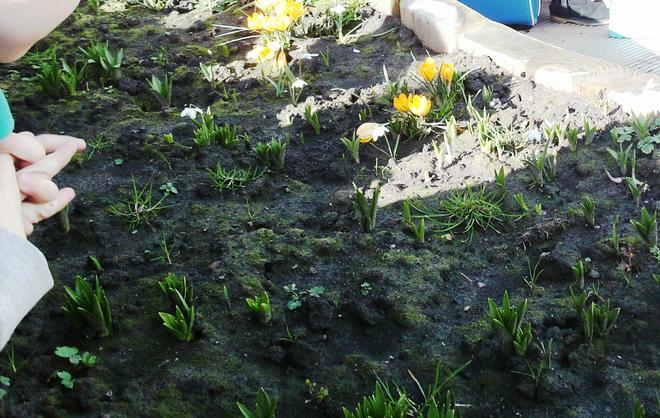 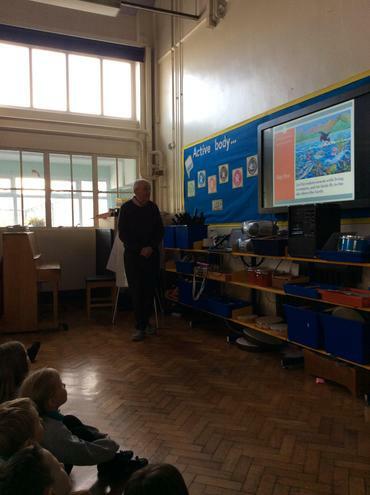 They have taken some photographs of the changes that they have noticed in our gardens. 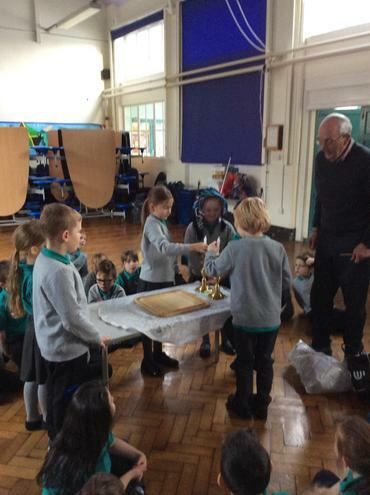 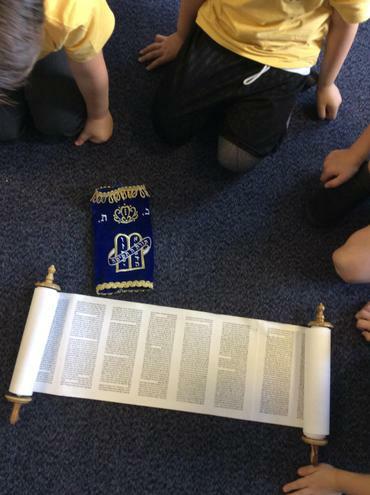 Our festivals display is helping us to learn about Easter traditions around the world.